The Spanish region of Andalucia is located in the south of the country and includes the popular tourist resorts of the Costa del Sol as well as the historic cities of Sevilla and Granada. British tourists visit the area in their millions, and while you can drink in British pubs and eat fish and chips for every meal if you like, the local Andalucians are very proud of their cultural heritage. Flamenco is a popular form of entertainment in this part of Spain while many of the whitewashed villages in the hills have changed little in generations. It can be difficult to tear yourself away from the beach when the weather is so good, but there is much more to Andalucia than sun, sea and sand. 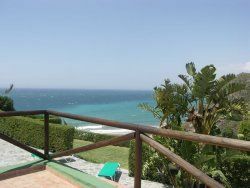 Most visitors to Andalucia will, however, arrive and stay in one of the modern tourist resorts on the Costa del Sol. These resorts don't advertise themselves as cultural centres but if you are looking for a holiday with plenty of sun, lots if beaches and plenty of tourist attractions then the Costa del Sol is the ideal destination. Most beaches are huge expanses of sand with some public areas where you can throw down your beach towel among the locals and �private� areas where you pay to hire a sun lounger and have your drinks brought to you by a waiter. This part of Spain is ideal for family holidays and there are several theme parks aimed at children and parents, such as the water parks at Torremolinos and Fuengirola and Tivoli, a funfair on the hills behind Benalmadena Costa, which is open until late at night. During the day you can take a cable car from Tivoli up to the top of the mountain that towers above the resort and enjoy the spectacular views along the coast. Head inland and you will start to see the whitewashed villages that Andalucia is famous for. Each is as picturesque as the last though some do boast better views towards the Mediterranean or onto surrounding mountains. The historic cities of Sevilla and Granada are both well worth visiting; Granada is a very popular day trip from the Costa del Sol while Sevilla is further north and worth more time than a few hours. Each is home to outstanding examples of Moorish architecture, charming old quarters and museums featuring historical and cultural artefacts. 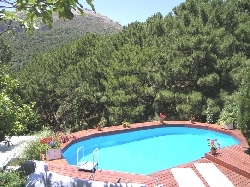 Looking for self catering holiday accommodation in Andalucia? 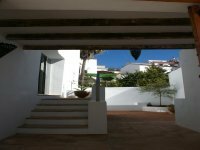 Then below is a selection of apartments in Andalucia and villas in Andalucia that can be rented direct from their owners. You can either click on each listing for further details or you can use our search engine on the left if you are looking for something in particular.